Sony have today announced that turn based strategy game, Tharsis, will be coming to PS4 in January 2016. The game was initially developed with a physical prototype using dice and paper and boasts to be “unlike anything else on the market”. Along with the announcement, a trailer was released. 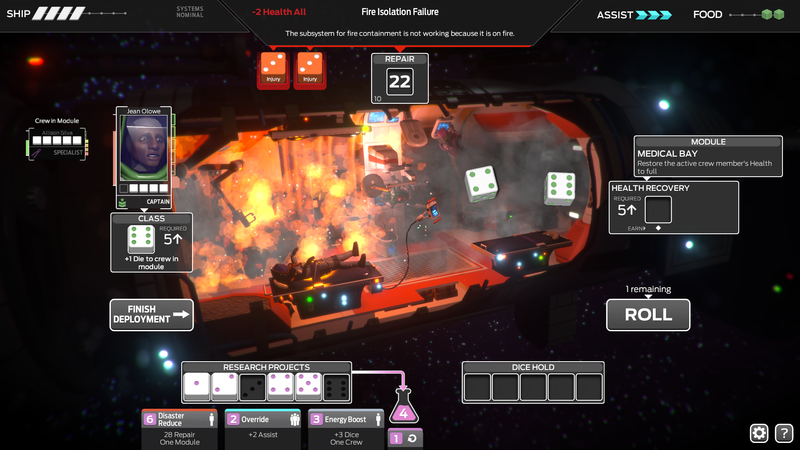 Showing a series of scenes detailing dice rolls, decisions, and even death, the game looks to have some of the flavor of FTL with a larger element of chance, character building in decision making. I’m pretty sure I even saw crew members eating one another. Nice. An interesting look at a different style of game to the multiple AAA games doing the rounds currently. It might be worth looking a little more into. Tharsis will also be available for PC in January 2016.